Categories: Cocktail, Wedding Brand: Nicholas. 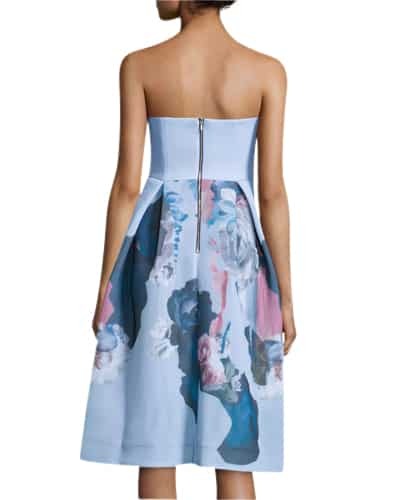 Nicholas reinvents the painted Floral Mesh Ball dress this season, a classic style in a graceful painted floral print. The strapless style is crafted in a textural mesh and designed with boning at the bust. Cinched at the waist into a midi-length pleated ball skirt, it is accentuated by subtle inverted pleating. Exposed zip at centre back. Partially lined.